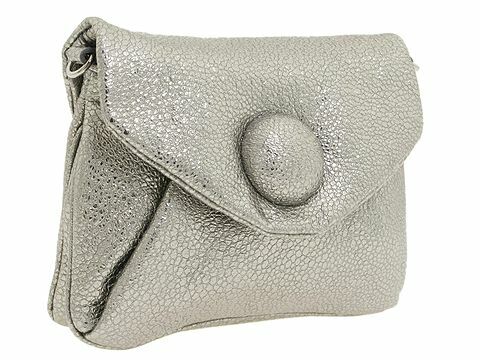 Envelope style pouch made of fine pebbled leather. Holds your credit cards, currency and cell phone. Dimensions: 7 wide x 1 1/2 deep x 5 high. ; Attachable cross body strap. Cross body drop: 20 length. Top flap with a magnetic snap closure. Interior lining. Made in Italy.